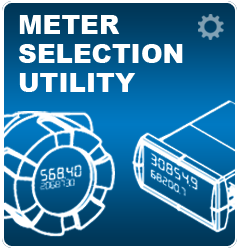 Answer nine simple questions about your application to find the exact meter you need. Don't know the answer to some of the questions? Just fill out what you know! 1. What type of input will you be connecting to the instrument? 2. For what application do you plan to use the instrument? 3. How do you want to mount the instrument? 4. How many digits do you need? 5. Where will you be installing the instrument? 6. How do you want to power the instrument? 7. What outputs do you need? 8. Which of the following display styles do you prefer? 9. Do you prefer an LED or LCD display? The PD9502 is a low-cost, compact, simple to use 4-20 mA or 0-10 VDC signal generator. It can easily be set for 0-20 mA, 4-20 mA, 0-10 V or 2-10 V ranges. Signal adjustment is made with a one-turn knob. A 15-27 VDC wall plug is provided with the instrument. This PD9501 Multi-Function Calibrator has a variety of signal measurement and output functions, including voltage, current, thermocouple, and RTD.